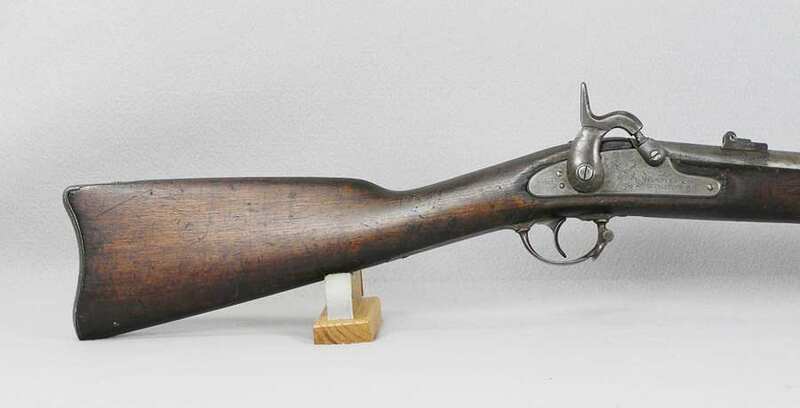 This is a Savage revolving Fire Arms Co. contract made from 1862-1864 in Middletown Ct. 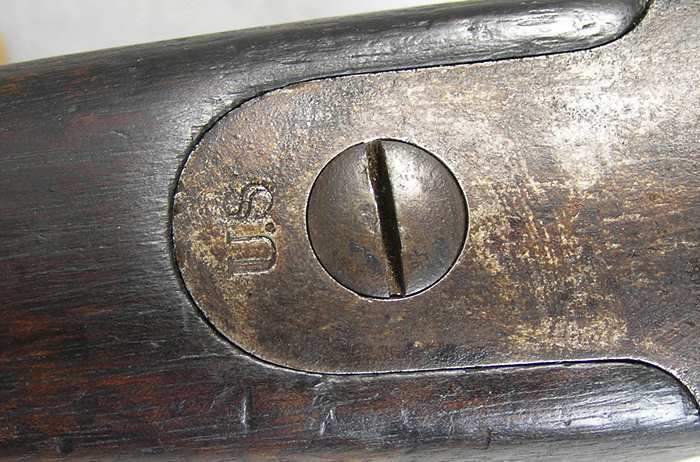 The lock is dated 1863 with Savage revolving Fire Arms Co. Middletown Ct. 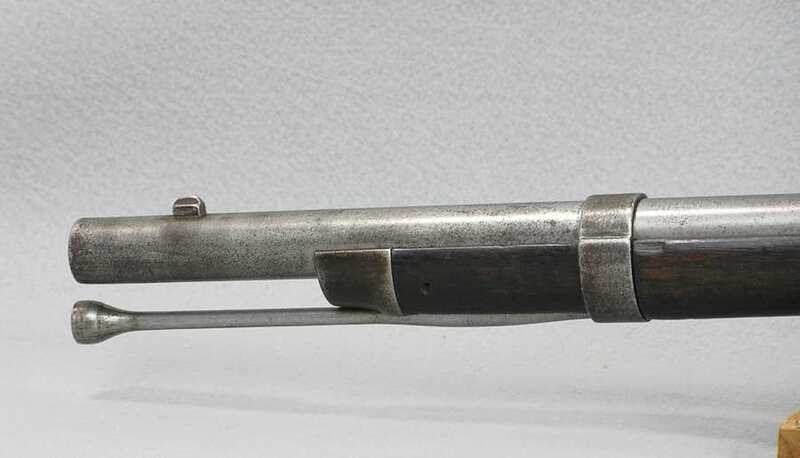 The mechanical function is very good and the bore is about very good with a shiny bore and better than average rifling. 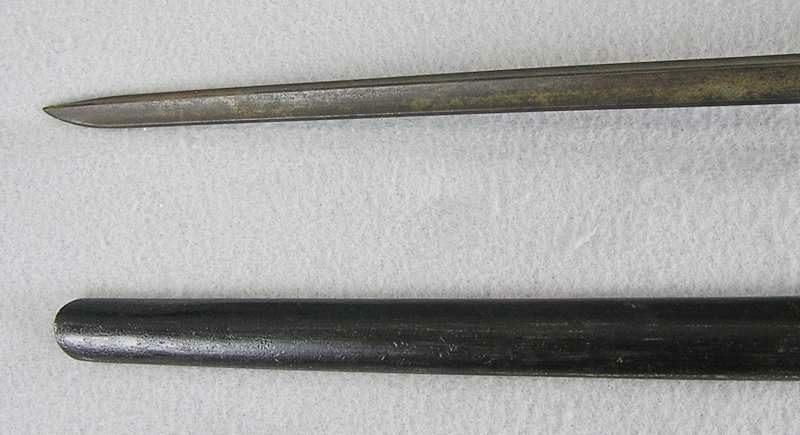 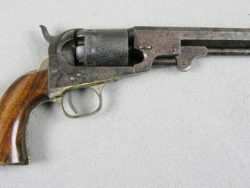 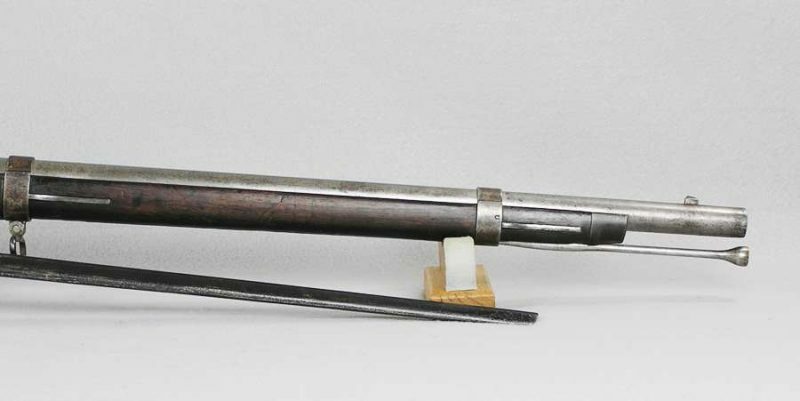 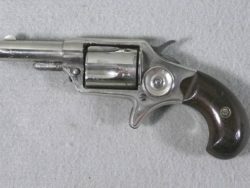 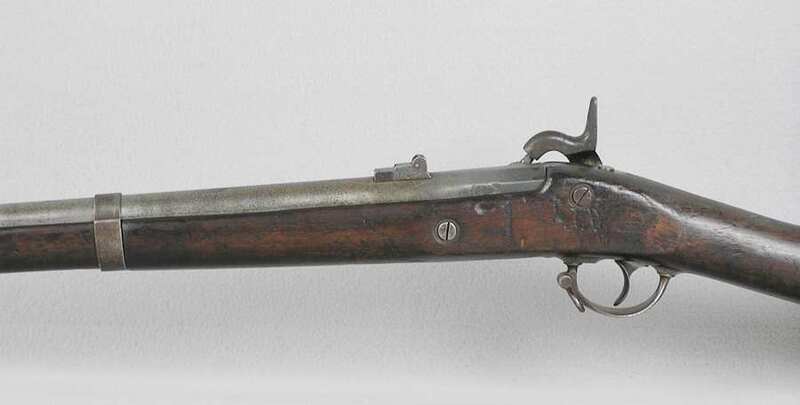 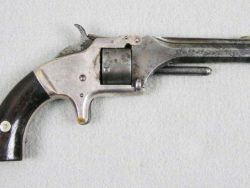 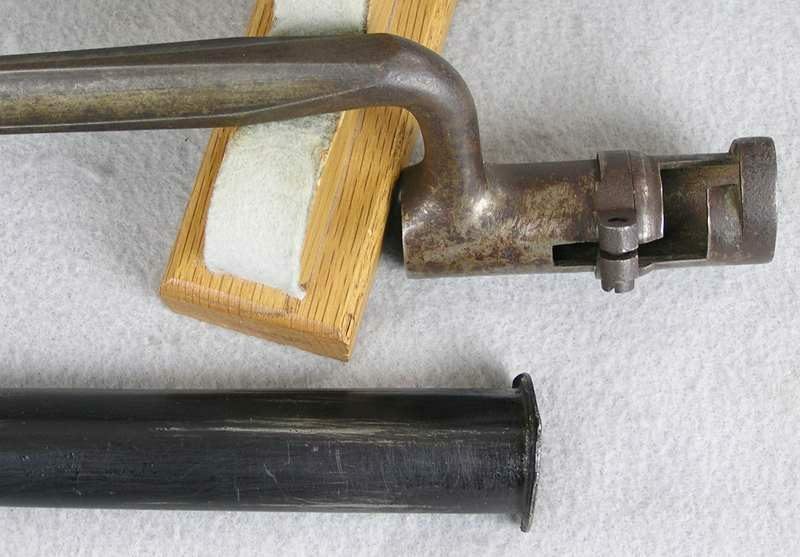 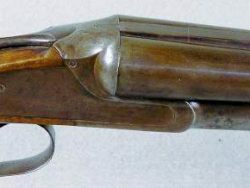 The barrel and bands have a light patina and the V/P/ eagle head on the barrel in visible. 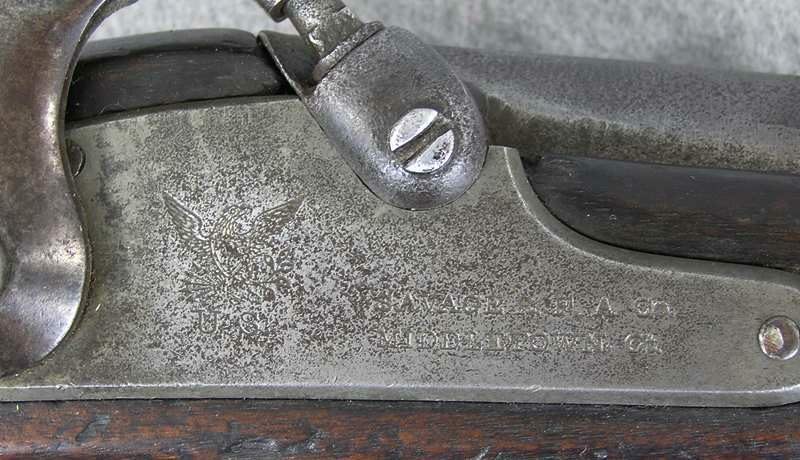 The rear sight is a two-leaf model. 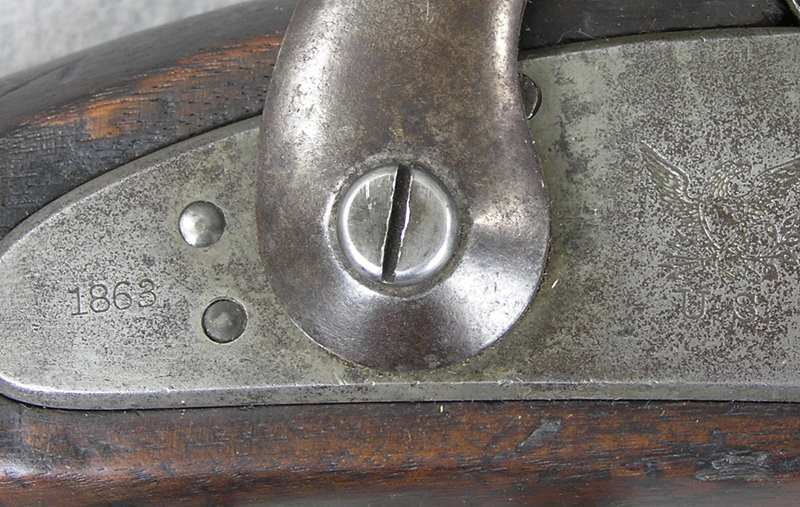 The inspector cartouche on the left side is visible but light. 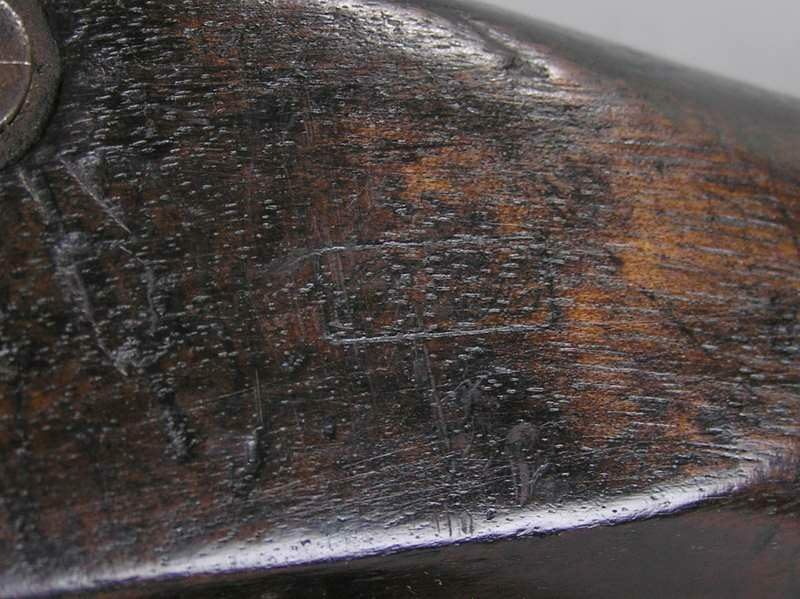 The wood has numerous bumps and dings and two initials carved on the left side. 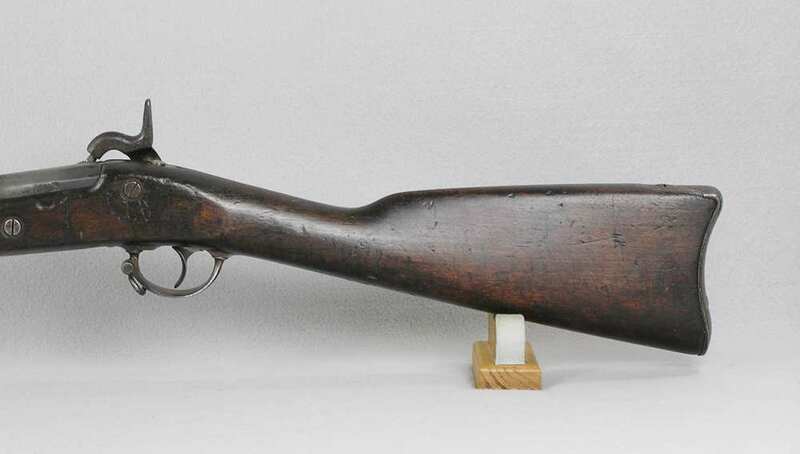 This could be a good shooter with proper loads. 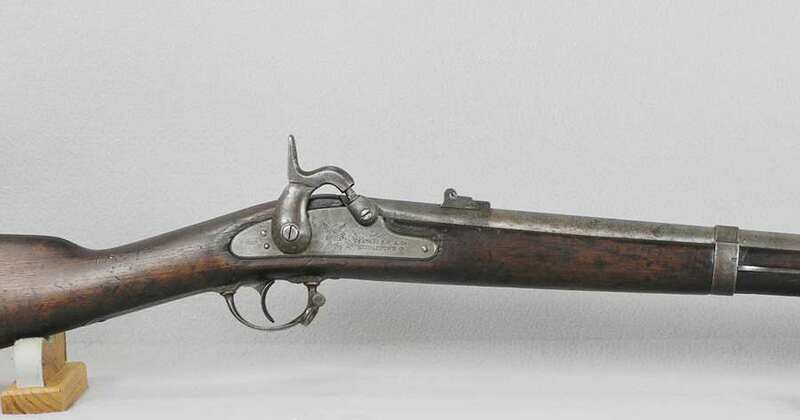 It comes with the proper Civil War bayonet with scabbard. 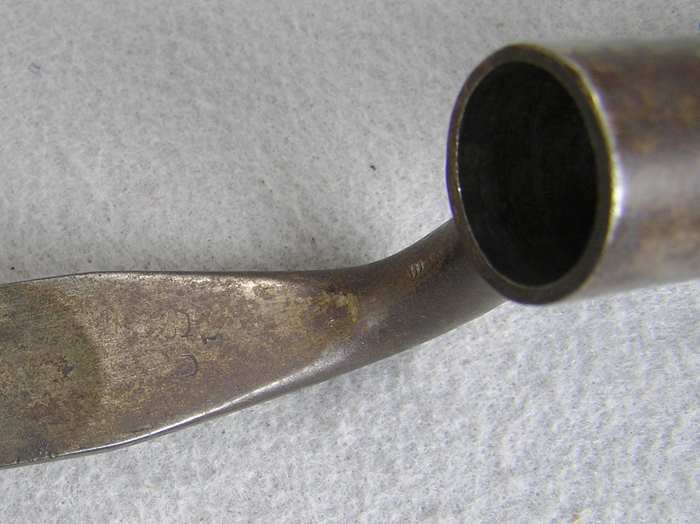 No leather bayonet frog on the scabbard.